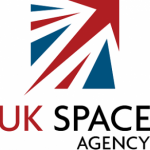 We have produced a range of free materials as part of the ‘Full STEAM Ahead’ in partnership with the UK Space Agency Aurora programme for the robotic exploration of Mars. The European Space Agency and UK Space Agency plan on developing the technologies needed to search for life on other planets and eventually send humans to explore deep space. To begin with robots will be used and developed to explore planets. These modules will focus on providing missions to Mars, the search for life and the development of human colonies on Mars. You can access all the materials by clicking any of the module contents you’re interested in below, or by using the module links on the side menu. If you register an account on our website you can track your progress, earn achievements, badges and certificates from completing lessons and courses. What’s Next for the UK and North Wales?